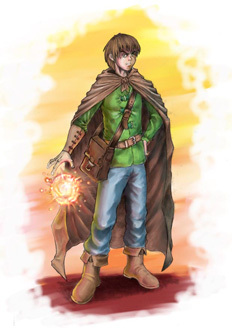 The following list of characters is an excerpt from the economy editions of the Ruin Mist books from Robert Stanek. The deluxe editions of Robert Stanek's Ruin Mist Chronicles books include a People, Places, & Things of Ruin Mist section. 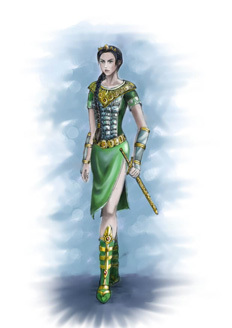 These illustrated encyclopedic entries are provided in the Special Illustrated Editions of The Kingdoms and the Elves of the Reaches books as well. Princess Adrina. Third and youngest daughter of King Andrew. Queen Alexandria. 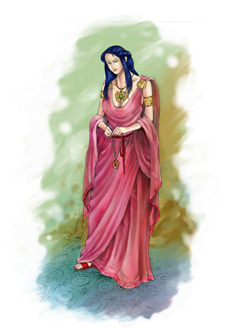 Former Queen of Great Kingdom; Adrina's mother, now deceased. King Andrew. Ruler of Great Kingdom, first of that name to reign. Captain Brodst. Former captain of the guard, palace at Imtal. King's Knight Captain. King Antwar. The Alder King. First to rule Great Kingdom. Elf of the Red order. Proper Elvish spelling is Br'-än. Sailmaster Cagan. Elven ship captain of the Queen's schooner. Proper Elvish spelling is Ka'gan. Princess Calyin. Eldest daughter of King Andrew. King Charles, ruler of Sever, North Warden of the Word. Chancellor De Vit. King Jarom's primary aid and chancellor. A troant (half troll, half giant) and friend of Xith's. Edward would be the first to tell you that he is only distantly related to the hideous wood trolls and that he is a direct descendant of swamp trolls. Emel. Former guardsman palace at Imtal; Son of Ansh Brodst. 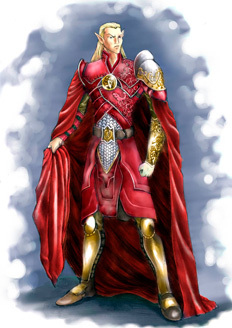 Elf of the Red order, second only to Seth. Father of all. He whom we visit at the last. Captain Adylton. Imtal garrison captain. Lady Isador. 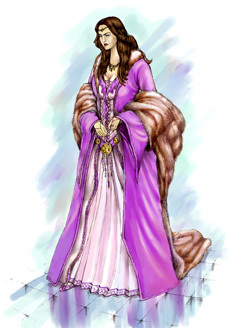 Nanny for Adrina; given honorary title of Lady by King. Father Jacob. First minister to the king. Head of the priesthood in the capital city of Imtal. King Jarom, ruler of Vostok, East Warden of the Word. Elf, presiding member of East Reach High Council. The Elven King of West Reach. Keeper Martin. 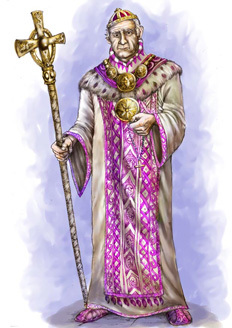 A lore keeper and head of the Council of Keepers. Baron Klaive. 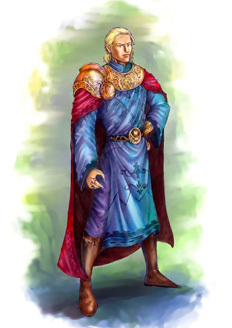 Low-ranking nobleman whose lands are rich in natural resources. Sister Midori. The name Princess Delinna Alder earned after joining the priestesses. Innkeeper, an old friend of Xith's. The great mother. She who watches over all. The Elven Queen. Queen of East Reach, mother of her people. He that returned from the dark journey. 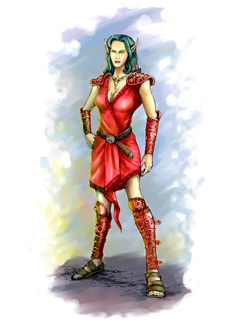 Elf, first of the Red, protector of Queen Mother. Captain Evgej. Former Swordmaster, city garrison at Quashan'. Prince Valam. Governor of South Province. King Andrew's only son. Also known as the Lord and Prince of the South. Chancellor Van'te. 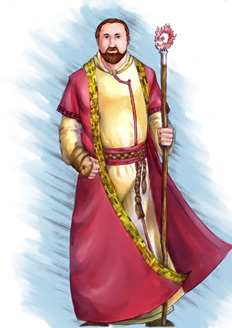 Former first adviser to King Andrew, now confidant to Lord Valam in South Province. An apprentice of the forbidden arcane arts. Father of Vilmos and village councilor of Tabborrath. Duke Ispeth. Ruler of the independent Duchy of Ispeth. Prince William. Prince of Sever and heir to the throne. Last of Watchers, Shaman of Northern Reaches. 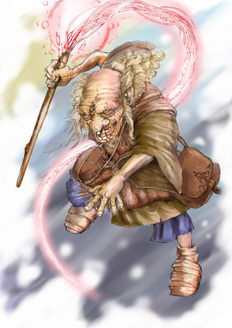 He is most definitely a Gnomic Dwarf (Gnome) though there are those that believe he is a creature of a different sort altogether. Chancellor Yi. First adviser to King Andrew. Brother of Van'te. Learn more about the people, places and things in Robert Stanek's world of Ruin Mist. 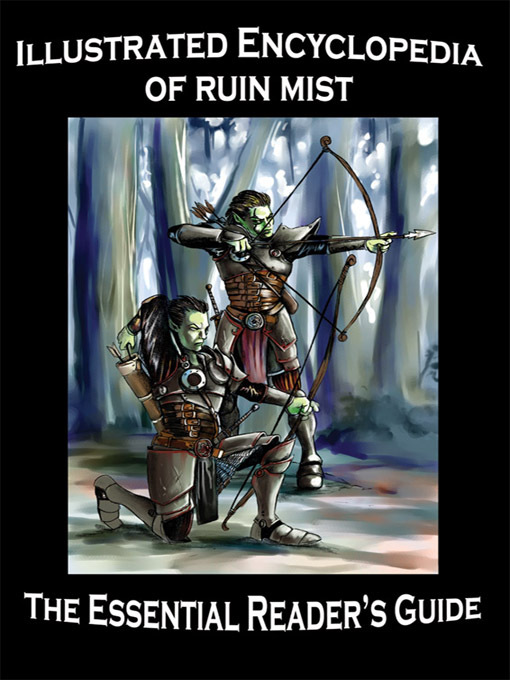 Read Illustrated Encyclopedia of Ruin Mist--a companion book for the Ruin Mist stories. (c) Robert Stanek All Rights Reserved.